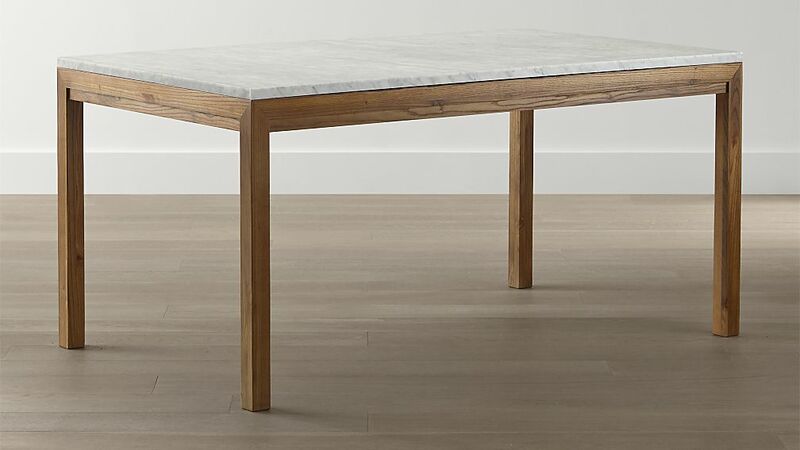 Marble makes a bold design statement. The use of marble in architecture, art, and design can be traced back thousands of years to early Egyptian and Mesopotamian cultures. Think of the Taj Mahal or Michelangelo’s David and the snow-white beauty they showcase. Marble today often is best known as a natural, polished finish for countertops in kitchens, bathrooms, and more. But, the hard surface is moving beyond countertops and is becoming increasingly popular among home buyers, including the 55-plus market. Here are a few ways marble can make a striking statement in all interiors. As a material, marble is tactile and strong, infused with movement and emotion, making it ideal for tabletop application. In combination with natural materials such as copper, leather, and wood, marble creates a clean, eclectic feel that is sure to stir up interest and conversation. Marble is a great way to show off elegance and expense, which makes it perfect for the NEXTadventure entertainer. Invoking notions of high end-living and affluence, marble speaks to a refined taste. 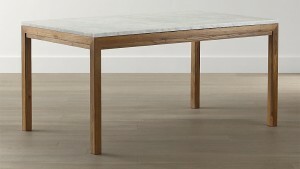 A splash of marble in accessories, such as a lamp base or accent table, is an easy way to add a rich, organic feel without breaking the budget. A full accent wall of marble is nothing short of spectacular. When limestone is subjected to heat and pressure, the inimitable lines, colors, and varied patterns of marble take shape and create a stone that is truly unique. Look at other shades of marble, as well as white, to determine what complements the home’s interior. The 55-plus NEXTadventure home buyer may not want marble on a countertop because of the upkeep it requires, but they might love to see it on walls and fireplaces or tables and accessories. A marble backsplash might be more subtle than a full accent wall, but still spectacular in any style of home. As a hard surface, marble is prone to acidic items causing “etching” rather than actual staining. 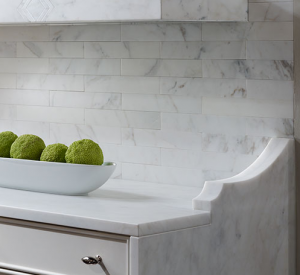 If stains are quickly wiped away marble becomes both beautiful and functional as a backsplash. Derived from the Greek and interpreted as “spotless, shining stone,” marble accurately speaks to its origin with a versatile, valuable quality.